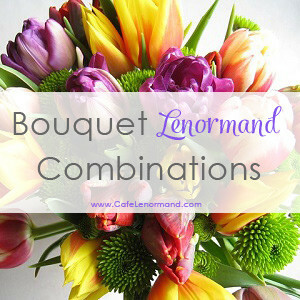 These Lenormand Bouquet combinations (aka Flowers) are intended to help you learn Lenormand. If you're ever unsure how to read a combination or are stuck in a reading, these Lenormand Bouquet combinations can help. Please note that this isn't a list of every possible combination. As you learn Lenormand, you'll soon see the number of card combinations are limitless. Let me know what you think of these Lenormand Bouquet Combinations in the comments below. I'd love to hear from you!